When you sign up in the linky put the direct link to your post about joining the 2016 Witches & Witchcraft Reading Challenge, not just a link to your blog. Sign-ups will be open until Dec 15, 2016, so feel free to join at any time throughout the year. As you may have seen from my blog, I'm an avid reader, though I don't consider myself a book blogger. 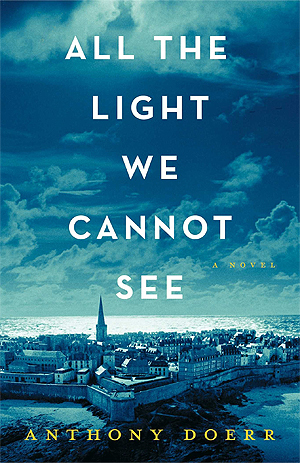 I just completed my last two challenges I signed up for this year, and my last book of this year, All the Light We Cannot See, by Anthony Doerr. Even though the last day of the year is tomorrow, I plan to take a break from reading, since on New Year's Eve things can get hectic. I know I need to get some stuff at the store tomorrow. And I'll be off to the celebration at a local bar. And I've been signing up for challenges like crazy for next year. Still waiting to see if some of the ones I did last year will be offered again: Feminism, (this one is up now at this new blog), Plays (still no word on this one), Poetry, Witches and Witchcraft (the sign ups for both of these are now up), and to see if there will be a Lucky 16. (the blog hosting this one said they will not be doing it this year). I decided not to do a TBR challenge next year even though I have a stack of books that need to be read. I'm also foregoing any "finishing series" challenges and library challenges. I check out so many books that a library challenge has gotten redundant for me and trying to do a TBR challenge tends to make me neglect my book stacks even more! I just made my goal for this year. I needed to cut down, so I chose only to do themed and format challenges (audiobooks, graphic novels/manga) as well as a few checklist ones. I had stopped doing those based on page numbers, book sizes and "authors new to you" this past year. And as you can see, I took the plunge into hosting a challenge for the first time. I got this idea around May this year and did some Googling for examples for several months before I made my post official. Of the challenges I did this soon-to-past-year, some unfortunately fell victim to blog deletion by midyear. Some got picked up by other blogs, but some disappeared completely. (see here). My Goodreads profile says I read 232 books, totaling to 62,123 pages. 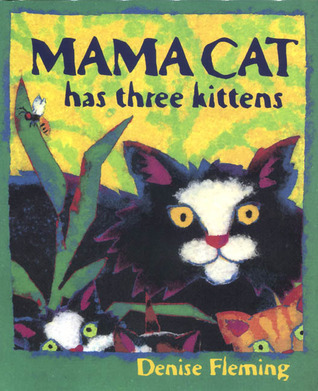 My shortest book was Mama Cat Has Three Kittens (20 pages) and my longest one was Outlander (850 pages). I already have my first reads planned for next year. Looking forward to it all. I've gotten into reading historic fiction the last two years, but the two different historic fiction challenges I did during those years no longer exist. So I am glad to see this one offered at Passages to the Past. I'm going to try to get to 25 books, maybe more if possible. Doing this one again. I will try to get to the highest level. Sign up here. Read a book(s)--non-fiction or fiction of any genre, for any age group--written by an author from the South and set mostly in the South. Level 1--C'mon in the house! Read 1-2 books. The challenge will run from January 1, 2016 to December 31, 2016. You can join in anytime throughout the year. This is a good challenge to participate in. Go to Chasing Faerytales to sign up and see more detail. You all know how much I love diversity. And one of my main resolutions for 2016 is to read more diverse books, so I was looking for a reading challenge to keep me in track! And I was astonished to realise that there was no such challenge available, so why not host one myself? As I was thinking aloud on the lines, the lovely Shelly @Read.Sleep.Repeat offered to co host if I did do it, so here are we, hosting the 2016 Diverse Reads Book Challenge! The main objective of this challenge is to promote diverse books and help bloggers and readers who want to read more diversity in 2016! · Read books that are diverse. · The book can be set in a diverse setting, but not necessarily. · #Ownvoices stories (stories about marginalized groups written by a member of that marginalized group) are widely encouraged as well! Promoting diverse books by diverse authors is important. · If the book is sci fi or dystopia, it has to be based on a dystopian country that’s not USA. · This challenge will run from the 1st of January 2016 to the 31st of December 2016. · You can join in anytime you want. · This challenge is meant to be a personal goal challenge to help find more diverse novels and to read more diversely. · To join the challenge, add your sign up post to the link up at the bottom of the post. You can include your TBR for the challenge if you want, but it’s not a requirement. 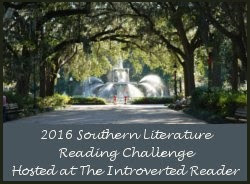 Your sign up post can be a separate post or a part of a giant list of all your 2016 reading challenges. Anything is fine. · If you don’t have a blog, you may use a twitter handle or instagram profile and share this post with the hashtag #DiverseReads2016 that you’re participating! But add that link to the sign up link below. · If you want to share why you joined the challenge or why you want to read more diverse books, you can tweet us using #Iwanttoreaddivesitybecause… and we can discuss there. This is optional, just adding your blog to the bottom of this post is enough for this requirement! Title Fight Reading Challenge 2016! This one tempted me. I'm not into boxing or sports in general, but the idea still seemed interesting. Only seven books are needed, so it won't take long. Sign up here. * The Challenge will run from January 1st to December 31, 2016. * Challengees must read at least one book from each category (listed below). Challengees must read a DIFFERENT book for each category – even if your book title might fit a number of categories, it will only count towards a single category. Challengees are free to choose which category best suits. * Books selected can be from any genre and aimed at any age group. Picture books, anthologies, nonfiction, graphic novels and audiobooks are all okay to include. * The categories listed are a loose guide and creative interpretation of the categories is not only encouraged, but applauded. * Challengees should link their reviews/progress under the relevant linky lists on this page. If you don’t have a blog, you could link to your Goodreads shelf/reviews, or simply comment on this page as you go. Quiz: What is Your WInter Name? Quiz: What Christmas Tree Are You?